Most of us who wear corrective lenses have heard this question: “Which is better? One or Two?” And, probably like most of us, at some point you’ve said, “I can’t tell the difference.” That same feeling of “not knowing” can be similar when trying to deciding the right blogging platform to use. But what is a self-hosted blog? And why do you need one if you can just start a blog for free through other services? Allow me to explain the details of free and self-hosted blogging platforms, the pros and cons of each, and which one you should choose. What is it? A free blogging platform is one that’s just that. It’s free to sign up for an account, get a domain (such as http://www.example.com), and set up your site. You can start your free blog with services like Blogger.com and WordPress.com. The thing about a free account is your website’s files are stored or “hosted” on your blogging platform’s servers. While there can be costs involved after the initial set up, this simple fact is what differentiates a free blog from a self-hosted blog. What is it? A self-hosted blog is one that resides on your own server. Most people, however, pay a third-party to host their blog, which opens them to all the benefits of a self-hosted blog. Sites like iPage, HostGator, GoDaddy and Bluehost are among some of the popular companies that provide hosting services. Essentially, these companies rent out digital storage space to users to make running a website possible. I will cover the pros and cons of both the free and the self-hosting options in a future article to help you in your decision of deciding which is better, one or two. Join me at the Montrose Christian Writers Conference where I will be discussing options to help you get noticed in the digital world through blogging, websites, and social media. 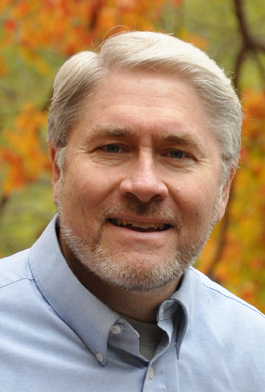 Don Catlett has been working at the crossroads of web design, photography, marketing, and social media since 1999. Learn more by visiting his website www.clearlysee.com. Plan to attend and get your manuscript ready for publication! Writing poetry makes me a wordsmith. I come to think of words as individual markers of creativity that, when combined in a certain order, creates a work of art called a poem. Poetry teaches me to use language in all of its magic—its sensory imagery, sound, rhythm, the music of the line, and the paragraph, even white space, and yes, grammar and punctuation. I carry the art and craft of poetry into my nonfiction. Great Christian writers such as Annie Dillard and Catherine Marshall wrote poetry, and you can see it in the sound and imagery in their prose. Dr. Martin Luther King Jr. understood the power of poetry when he used images to drive home the great truths of the civil rights movement in his “Letter from the Birmingham Jail.” Abraham Lincoln used the cadences and sounds of language in his Gettysburg Address and Second Inaugural Address to create hope in the hearts of his people during and after the terrible cost of the Civil War. So during my poetry classes at the Montrose Christian Writers Conference this summer, we’ll discuss the art and craft of poetry. We’ll play with words and generate ideas using everyday objects like paint chips, seed catalogs, stained glass, magazines, and word tiles. We’ll talk about what works, what doesn’t, and why, and how to achieve our writing goals. We’ll explore our creative processes and discover new insights as we write and share. Even if you write fiction or nonfiction, you’ll learn how to enhance and strengthen your work. Most of all, we’ll honor and affirm our creative lives in these classes. We will honor Jesus as the Root and Source of all our creativity. I look forward to working with poets with all levels of the publishing experience. Lora will be teaching both a Major Morning series about poetry and will conduct a three-session afternoon poetry work-in-progress seminar this July at Montrose. Poets, plan to sign up for either or both of her classes. If you’re interested in working on your own poetry in the WIP seminar, sign up ASAP when the registration opens soon. That seminar is limited to six conferees. Should You Write a Bible Study? Many authors and speakers eventually come to the decision that they could, or should, write a Bible study. For various reasons they believe the market needs what they have to offer. Sometimes the thought is I can write a Bible study better than anything out there, or I can’t find exactly what I’m looking for. My particular favorite reason that I hear is I’m much more spiritually mature than most of those other authors. But what should be the motivation for writing a Bible study? I believe that writing Bible studies must come out of a pressing sense that God wants an author to share his/her perspective on a particular subject or passage of scripture. Many times in our personal studies, we revert to one passage or concept that God keeps impressing on our hearts and minds. We study it. We do research it. We can’t let it go. That’s a good sign that maybe God wants us to write a certain Bible study. Before we make that decision, though, it’s vital we spend time before the Father, asking him what he wants us to do. This very special subgenre needs to be verified by much prayer and the reading of God’s Word. Who really needs another Bible study? Another thing I suggest authors do is to ask other people if a certain topic or theme would be helpful to them. It might even be a good idea to teach it and see how it’s received. Sometimes the promptings we get from God are for our growth and don’t particularly apply to others. Will your Bible study help others in their Christian walk? Writing Bible studies should be a deeply spiritual undertaking. Don’t ever approach it lightly. There’s a story about a time at Apple Computer when the staff was working double-time to release a new product. But … there was a hold up. A programmer or an engineer was withholding his work. In his defense, he was trying to make his contribution to the project “perfect.” He was tweaking and re-tweaking, testing and retesting. In his pursuit of perfection, the entire project was held up repeatedly. As writers we do this too. In our hearts we have a story or a nonfiction book that would really help a lot of people, but we just can’t let it go. Many of us work alone, so there is no team (or boss) to breathe down our necks. As a result we just keep tweaking it, and it never goes anywhere. If that’s you, I want to share the words of Steve Jobs. My fellow “creative,” your work is a blessing to the world. As Christians we would say, in many cases, that our work is divinely inspired. Yes, we want to give God our best, but there comes a point when tweaking begins to reek of perfectionism and procrastination. Sooner or later it’s time to give your gift to the world. You need to put your creation out there for the world to see. “Real Artists-Ship” is one of the workshops I plan to share at the Montrose Christian Writers’ Conference. My goal is to help you take that work you’re withholding, make it the best you can, and get it out there where it can do the most good in the hands of the people it was created to bless. The good news is I’m going to help you explore a multitude of ways and offer tips to overcome the block. Did you know deadlines are your friends, and so are restrictions? Are you asking God for a new idea, but it seems He’s silent? I have a possible (probable) answer to that problem, which I’ll share with you as well. These two workshops are very important to me. The most urgent part of creating anything is to finish it. However, before we can finish it, we have to have the courage to start. I have often wondered how many life-changing, world-changing projects will never be seen because their creators never finished them or, more tragically, never started. The creative life is unique because most of the time we’re the only people who can see our creation. It exists only in our minds until we create it in a form the rest of the world can see. This is doubly important in the Christian realm, where our divinely inspired projects are given by the Creator to do great good in our world. I know all about these issues too well. I’ve spent most of my life as a professional creative, working extensively in the visual arts. When I felt the call to ministry, I began to see there was a huge need for creativity in the church. I began writing as a way of sharing creative ideas with churches online through my ministry AMOKArts. Eventually, with the advent of createspace.com, I began to compile these writings into books which I now sell at my speaking engagements. 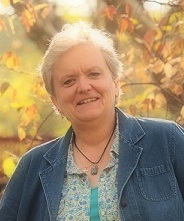 I have a blog on creative ministry at AMOKArts.com with over 2500 posts. One of my favorite things to write is presentations in which I use art, storytelling, video, drama, and more to communicate the Gospel. 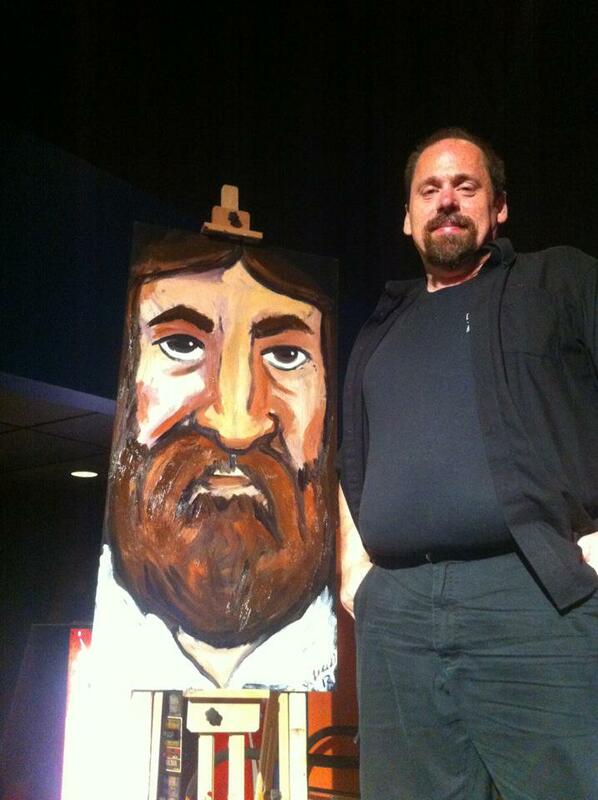 You’ll see an example of that as I share my presentation “Pictures of Jesus,” Wednesday evening at the conference. One of my other great pleasures is to help people embrace and stretch their creativity. While I know most of the people at the MCWC conference have already embraced their creativity, I’m going to help them stretch it with a paint party on Tuesday evening when I’ll teach you to paint a work of art step-by-step in a fun, casual, relaxed environment. I’m really looking forward to finally being a part of this conference, and I look forward to meeting all of you.